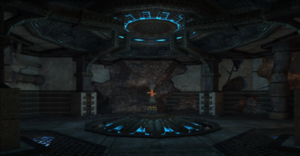 The Storage Depot A is a small room in the Phazon Mines. It is accessed from the Mine Security Station and contains the Flamethrower. This page was last edited on 27 January 2012, at 03:15.